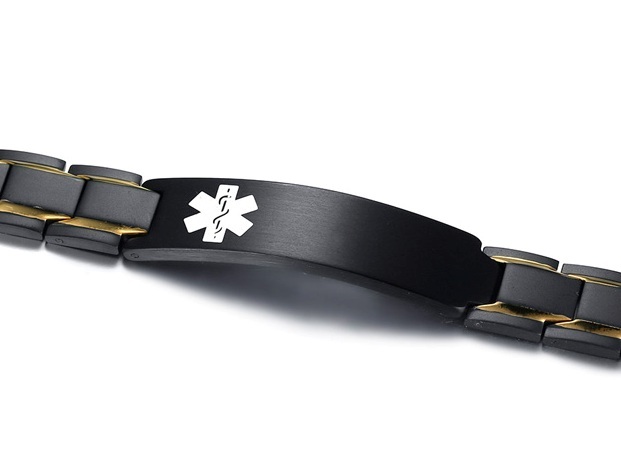 This black plated stainless steel link medical ID bracelet with gold plated stripes features a white medical alert symbol on the front. Links contain magnets which may be beneficial for health. Bracelet width is approximately 1/2 an inch. Available in several lengths. 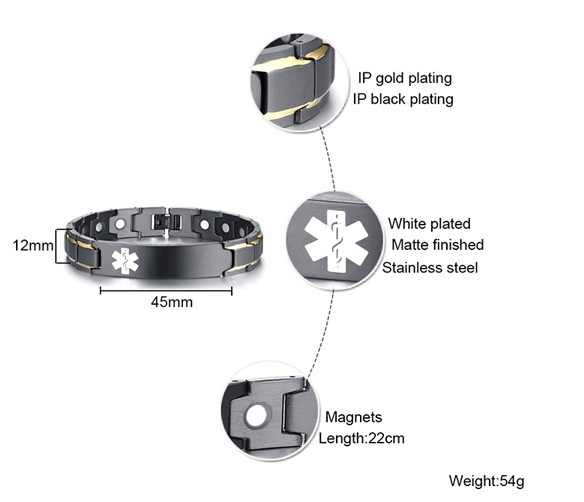 IMPORTANT: Do not use magnet products during pregnancy, or if you have an electrical implant such as a pacemaker. Consult with your doctor if you have any questions and continue with regular medical care. 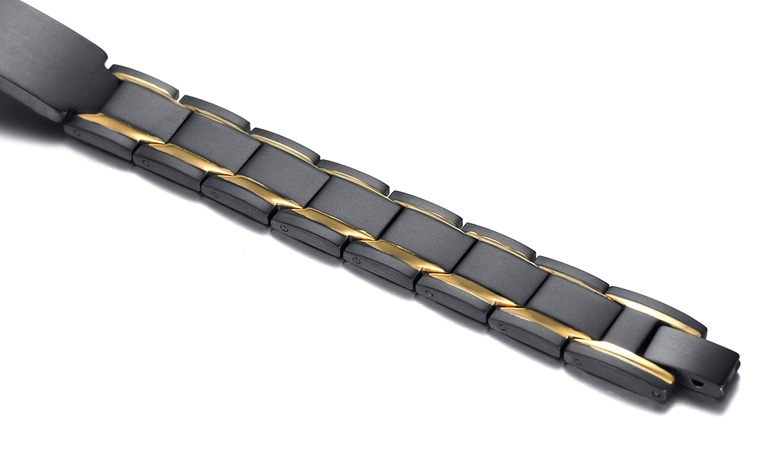 Magnetic products should not be worn next to a watch. Magnetic products are considered to be unproven remedies. However, magnets have been used in different cultures over the years by those who believe magnets worn on the body promote good health. 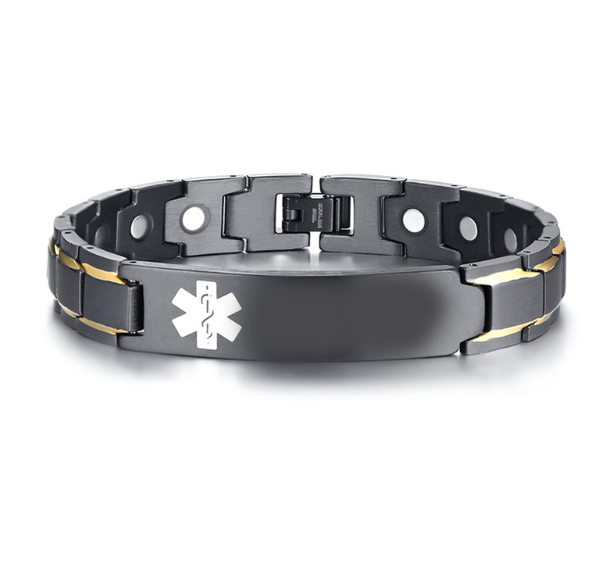 The theory is that magnet therapy may be beneficial by affecting the circulatory system, the blood flow in the body. Increased circulation is beneficial because the body gets more of the nutrients it needs from the blood. Today, as more information becomes available, alternative health care and home remedies are gaining popularity.